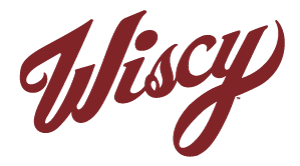 The Wiscy Tee features the iconic graphic on the front and the script Wiscy logo on the back. Printed on a soft-touch, poly-cotton blend, athletic-cut Tee. Protect it with your life or that special person may just claim in as their own.